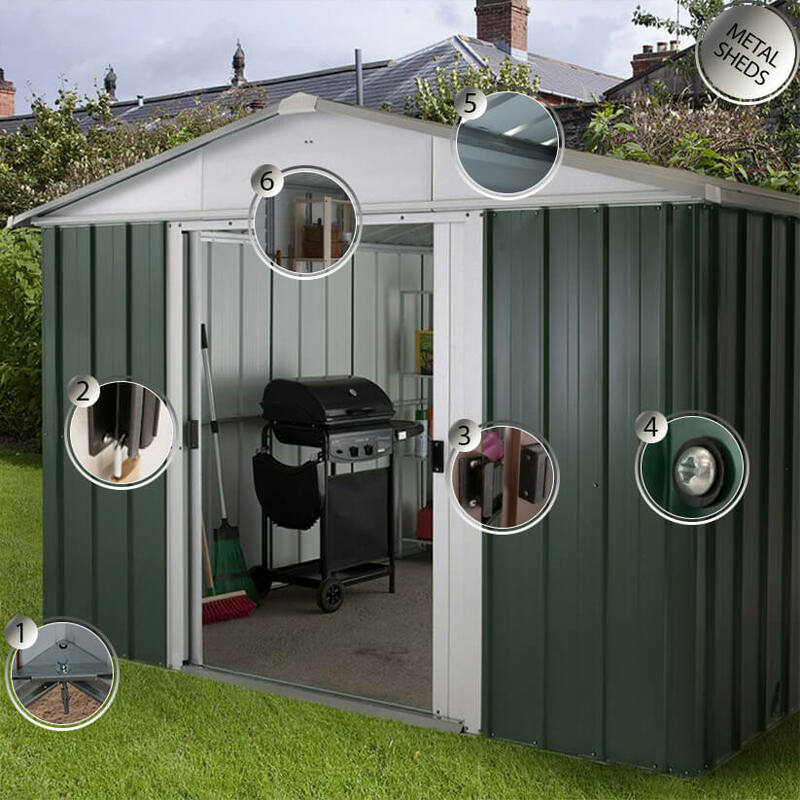 Cleverly designed, built from premium materials and with a fantastic 15-year anti-rust guarantee, the 10' x 13' Yardmaster Green Metal Shed is the ideal place to safely store garden equipment, outdoor furniture and bicycles. Completely constructed from hot-dipped galvanised steel, with a smart apex roof and a stunning baked-on emerald-green finish, this large metal shed is not only built to last but is incredibly handsome too. Measuring 2020mm x 3030mm x 3960mm, this 10x13 garden shed comes with rust-proof screws, anchor fixings, clearly-numbered parts, an assembly manual and UK-based telephone support to ensure a straightforward, secure assembly.